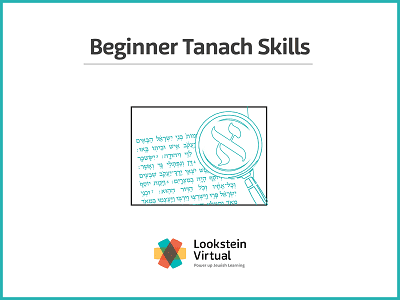 In this course, students will develop beginner’s Tanach skills that are necessary to succeed in a high school Tanach course. Students will master Tanach navigation, improve their Hebrew reading skills, encounter key commentators, and build basic translations and grammar skills. This course is customized based on each individual student’s needs. Please contact us at admissions@lookstein.org to learn more.